My name is Andrew Pearson and I am a Certified TAP L&D Practitioner. I started my career in the removal industry in 1986 where I served my 20 year apprenticeship with Britannia Neaves. I started as a young lad on the vans learning the ropes but soon found my passion and by the age of 19 achieved the position of company Foreman. In 1998 when BAR were looking to set up regional training centres I ran training at the East Anglia centre until 2005. During this time we were the leading training centre and were also the main Britannia Training centre and saw several thousand people through the door. 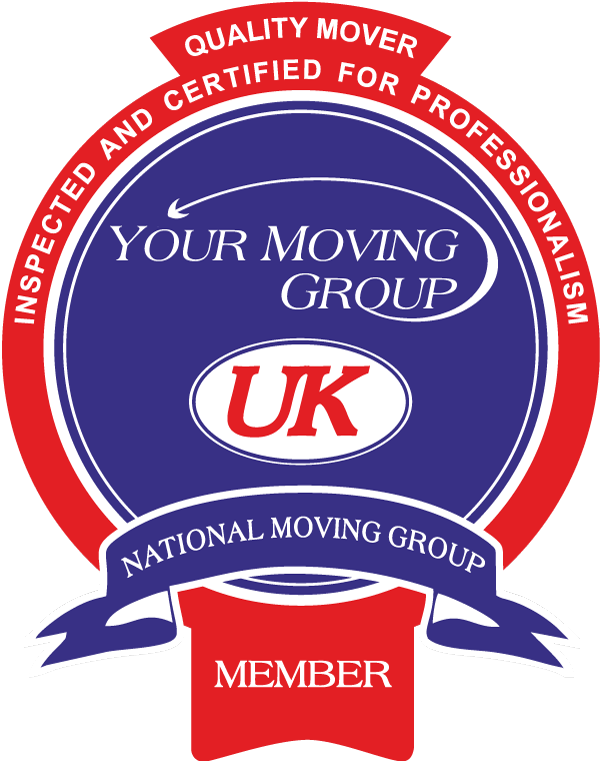 It was my chance to convert my passion for removals into helping others and I am still very proud to this day of the results achieved and knowing I have made such a difference in our industry. I turned my passion for removals into a real flare for training and have a proven track record both in the removals industry and others as BAR used me to deliver all the outside training for other clients including – Rothschild’s Bank, Fenwick’s, Heals, Co-op, Local councils. I currently operate my own removal company “Family Movers” as well as delivering training for the industry. I have a unique style of training as everything I teach is based on my 30 years experience. All the methods are tried and tested via my own company. Do you need help to gain skills & experience and knowledge within the moving industry? Next Level Moving Consultants can help you build your business and Increase your profit margins. TwentyCi, the data and customer engagement specialists, is the company behind removal and storage home mover lead generation service, MoverAlerts. If you're looking to reach a captive market of relevant leads or to find a solution to better segment potential home mover customers, MoverAlerts.co.uk can help. Search and download real-time leads for any property listed as to let, for sale, under offer, or recently sold in the UK. TwentyCi data is unmatched for market coverage and accuracy, drawn from a database of over 1.2 million postal records accounting for 99.6% of home movers across the UK. As well as data provision, the MoverAlerts service also includes the production and delivery of tailored marketing campaigns. Typically, the MoverAlerts team collaborate with clients to help produce a variety of direct mail and email campaigns, including letters, leaflets, brochures and postcards – or to apply a strategy that combines all of these marketing approaches. Founded in 1970, Basil Fry, a broker in the City with Removals and Storage experience, spotted a gap in the market and decided to set up his own business from home. Already considered an expert in his field through advices given to Removers in the 1950’s and 60’s, Basil built on his expertise through the creation of his own Company. The Company is slightly different today. Traditional values remain at the core but with cutting edge technology to enable you to place insurance cover, partnered with delegated authorities from the top Insurers that allow them to bind and provide policy documents. Their philosophy is similar to that of Bronowski’s above. There are many insurance brokers who will place the risk for you, collect the money and leave you in abeyance. Their approach is that of risk management, actual advice to improve your exposure and return dividends to you so that you recognise the value your broker brings – a partnership with you to drive your Company in the right direction. This is the ethos that ensures their client base grows year on year. Santa Fe provide a uniquely integrated service that covers the entire relocation journey. With over 2,500 people speaking 67 languages in 96 offices across 47 countries, they work together as one global team. Using cutting-edge technology, their people can actively communicate local information quickly and help each assignee to adapt to life in their new location. Their localised approach and global network means that their teams can support you wherever you are. Both import and Export consignments by Air, Road and Sea Freight: Via FCL Containers and Consolidations service LCL/GRP. Customs Clearance and Brokerage (Imports and Exports), documentation. Handling of Dangerous Goods (Hazardous Material)/Motor vehicles/caravans. Personal effects specialists & commercial consignments. Customized services with your own dedicated removal manager. Knowledge and expertise putting together tailored removal plan, offering pre sales advise and customs support for any country around the world. Fast customs clearance & full destination services to your customers new home. At EMS Cargo, we have one clear goal, to make shipping your customers worldly goods, to anywhere around the world, as simple and painless as possible, with our unique Removals Trade Desk we can offer not only our expertise and knowledge of over 40 years within the freight forwarding industry but also 38 years experience in the International relocation service industry, we believe you’ll find a relationship that you can trust in to deliver with peace of mind and financial security within our own organisations. Please contact us on removals@ems-cargo.co.uk. Currencies Direct Ltd is a UK-based foreign exchange broker and international payment provider. It delivers currency exchange services in a number of countries to individuals, online sellers and businesses. Operator Licence Assist Ltd specialise in providing companies with best fit solutions, for the management of their Operator Licence. We provide a diverse range of clients with tailor made packages to ensure regulatory compliance. OL Assist Ltd is currently based in Norfolk and we provide consultants, transport managers and compliance improvement services to companies outside of this area. We can provide free confidential advice, manage your O Licence application, introduce transport managers local to you, peace of mind audits, improvement plans, licence management systems, manage your operator licence admin and much more.